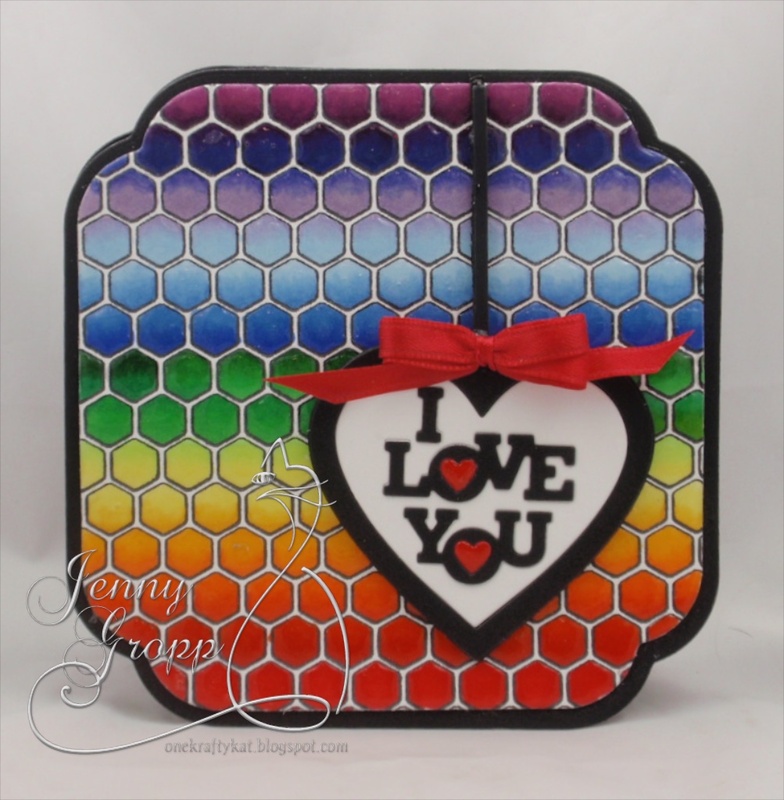 Stencil Girl & Impression Obsession Blog Hop Winners! Impression Obsession Winter CHA Release Hop! A big thank you to everyone who hopped with us! Thank you to everyone who entered our Fanciful Florals Challenge! 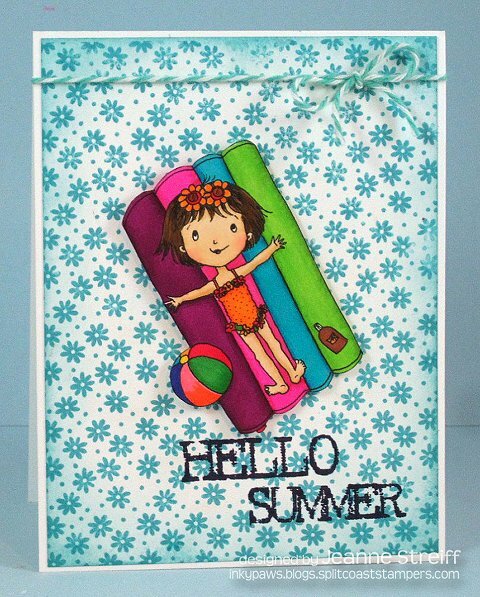 Check out Rachel's pretty card! The hop will run for 5 days (1/4/16 - 1/8/16) with a list of participants on the Impression Obsession Blog each day at 6am EST. 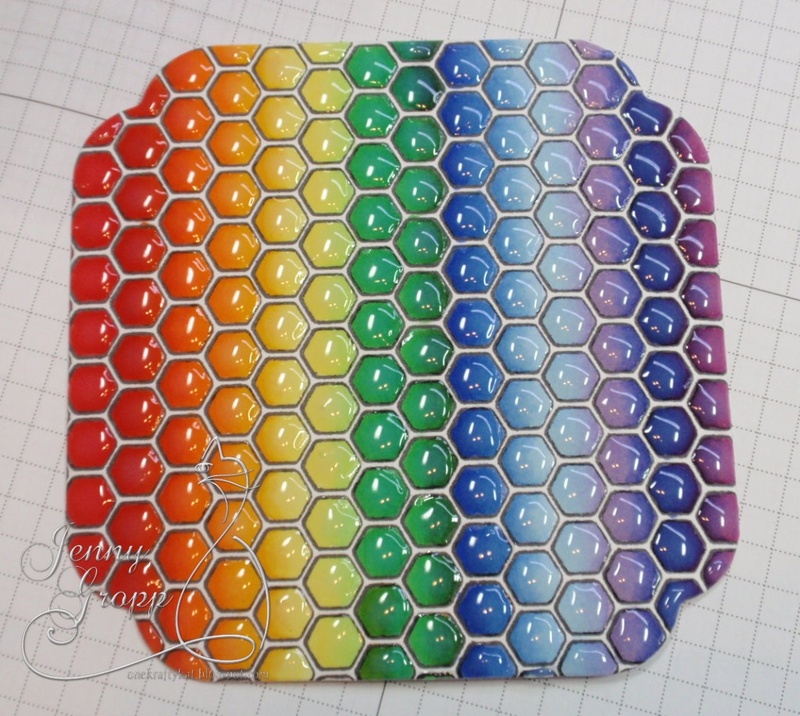 Visit our fabulous IO Design Team’s blogs (only one comment per blog please) for a... chance to win a $25 Gift Certificate! Thank you to everyone who entered our School Spirit challenge! Thank you to everyone who entered our Happy Birthday Challenge! 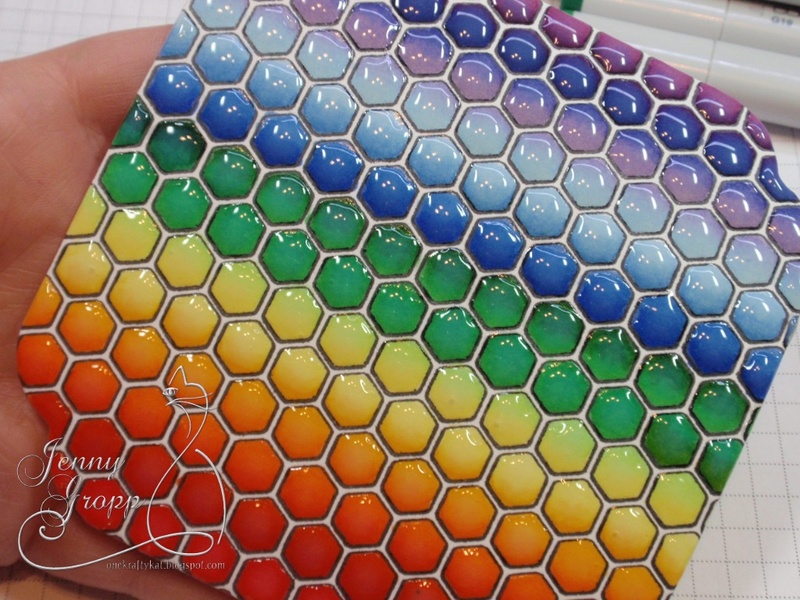 All of your projects were spectacular! Thank you to everyone who entered our It Must Be Love Challenge, all of your projects were spectacular! Marie used Cover-a-Card Rose Lace (CC087), Cover-a-Card Thick & Thin (CC008) and Ladybug Vine Heart (D6337) for her adorable card. 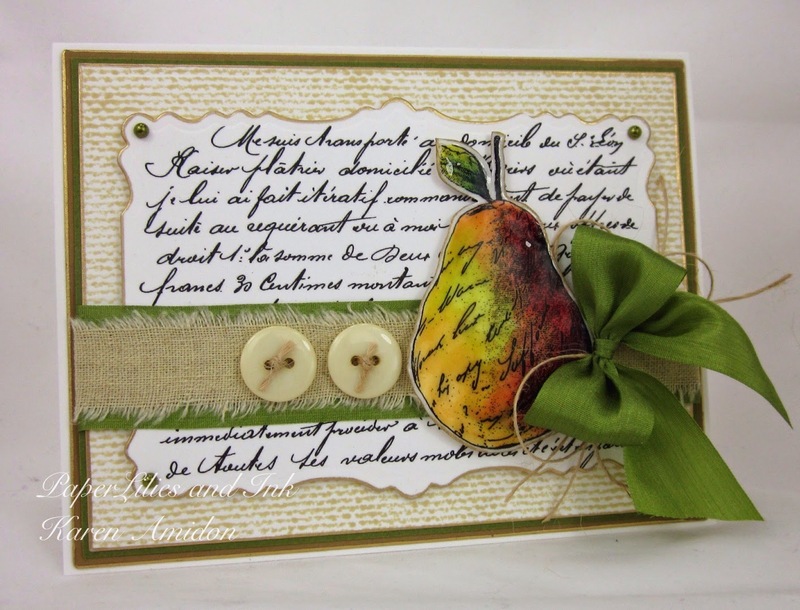 Karen Amidon uses Print Pear D9418, French ScriptH9396, Canvas CC073. Thanks to all the players of the "Masculine" Challenge! Great projects... you guys outdid yourselves once again! We have the BEST challenge players! Here's is Sue's gorgeous tag! 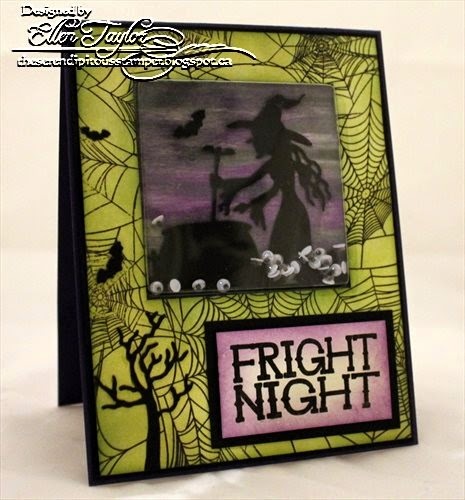 Daniela Dobson shares a beautiful die cut card! 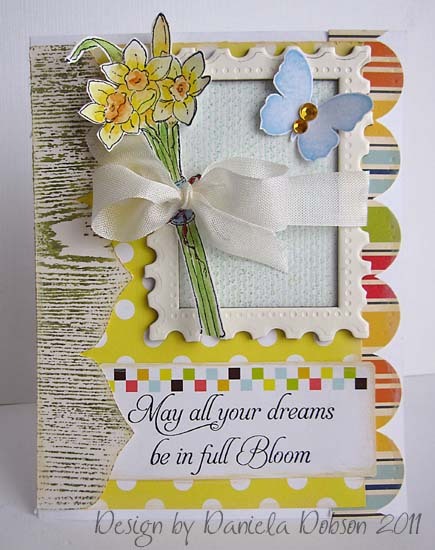 Daneila used Cover-a-card Wood Grain CC034, Daffodil Bouquet E8576 and Silhouette 15 butterfly D5565 for her card. 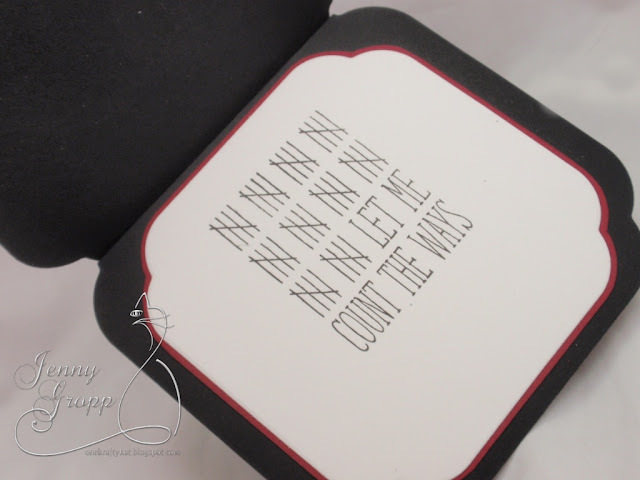 I cut the banner border using my Cricut Expression and stamped it with Cover-a-card Wood Grain CC034. 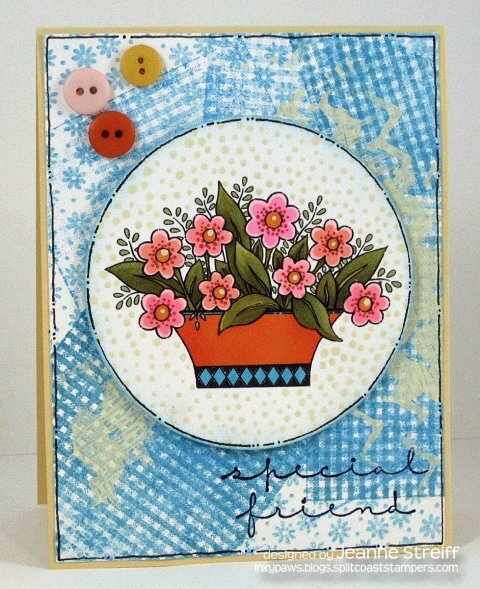 I stamped the Daffodil Bouquet E8576 on watercolor paper and painted them with watercolor. 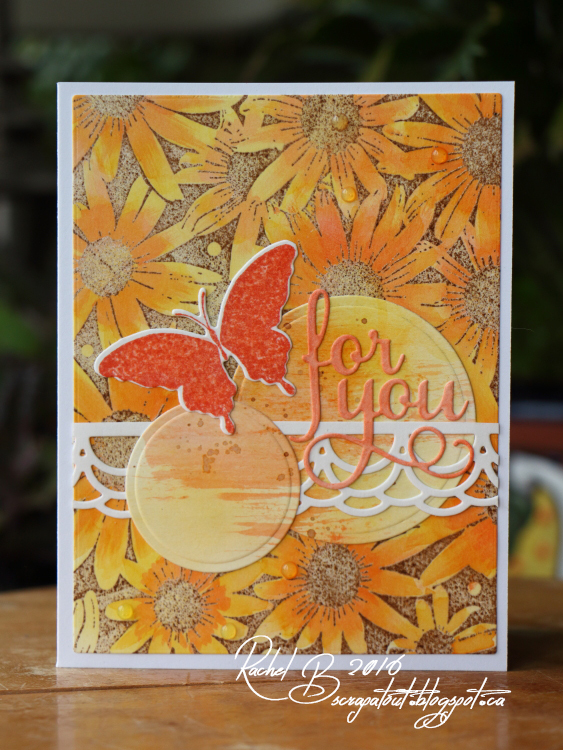 The Silhouette 15 butterfly D5565 is stamped with blue ink an cut out. 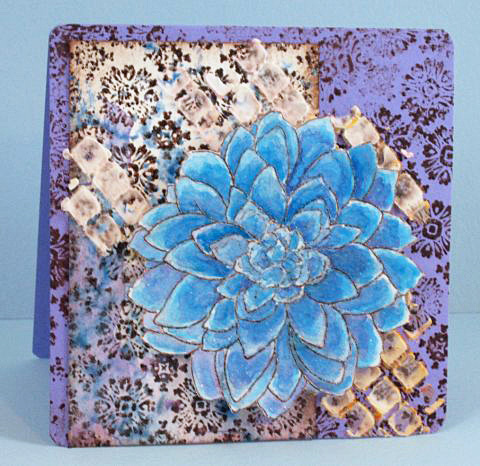 Fun mixed media card to share today from Jeanne Streiff!